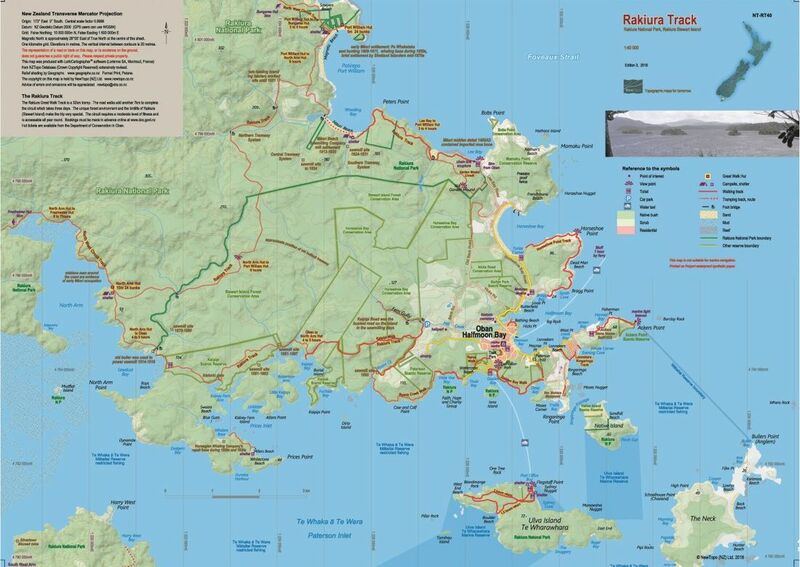 The Rakiura Great Walk is a 32km tramp. The road walks add another 7km to the circuit which takes three days. The unique forest environment and the birdlife on Rakiura Stewart Island make the trip very special. The Walk requires a moderate level of fitness and is accessible all year round. 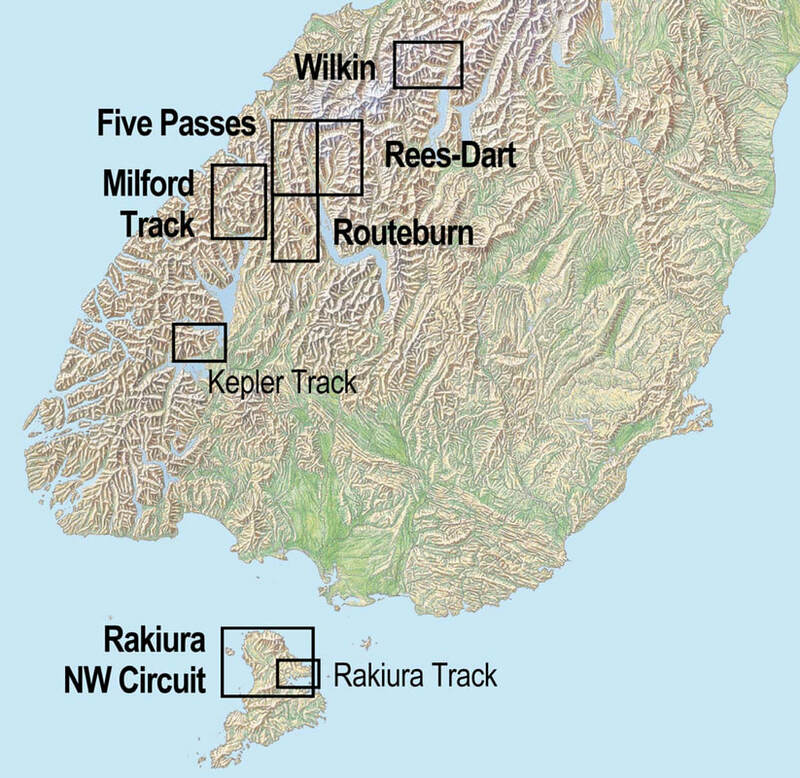 The combination of the large scale, twenty-metre contours and relief shading, gives a realistic landform and helps identify all major land features, increasing both the enjoyment and safety of walkers. Printed on 124gsm Polyart waterproof synthetic paper.